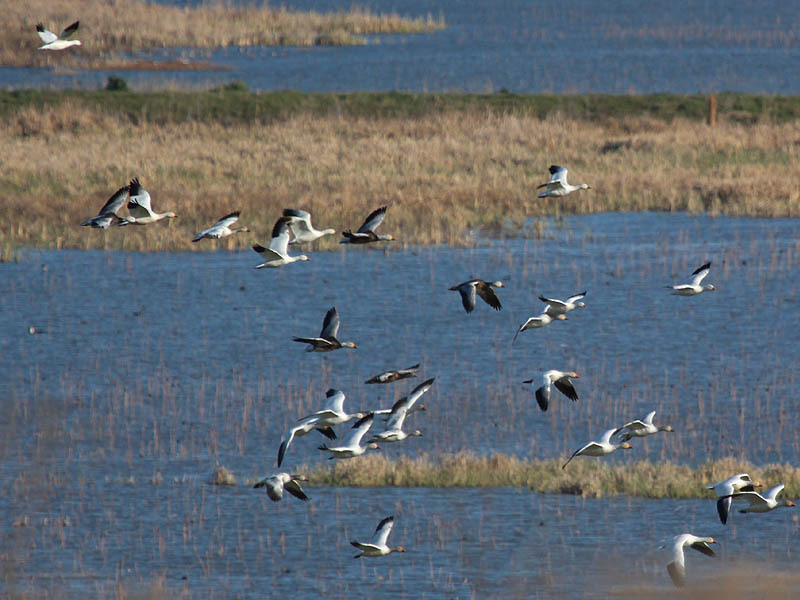 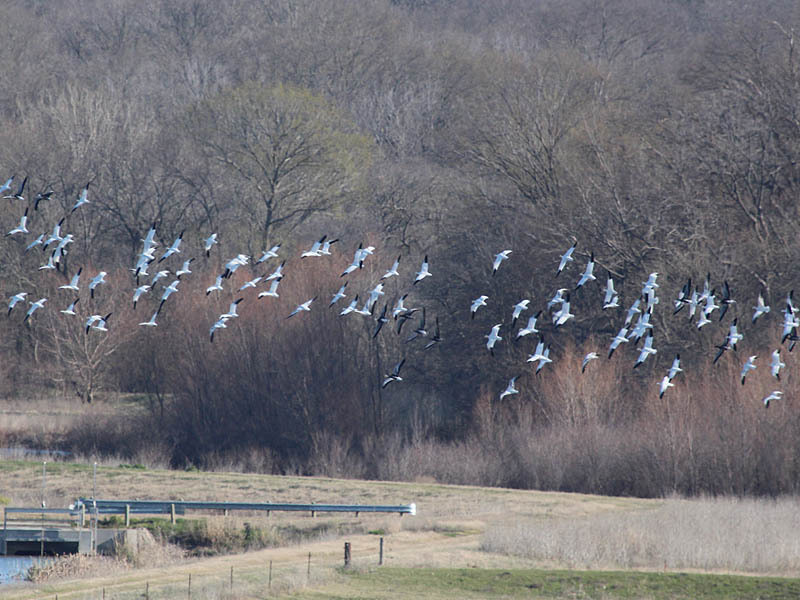 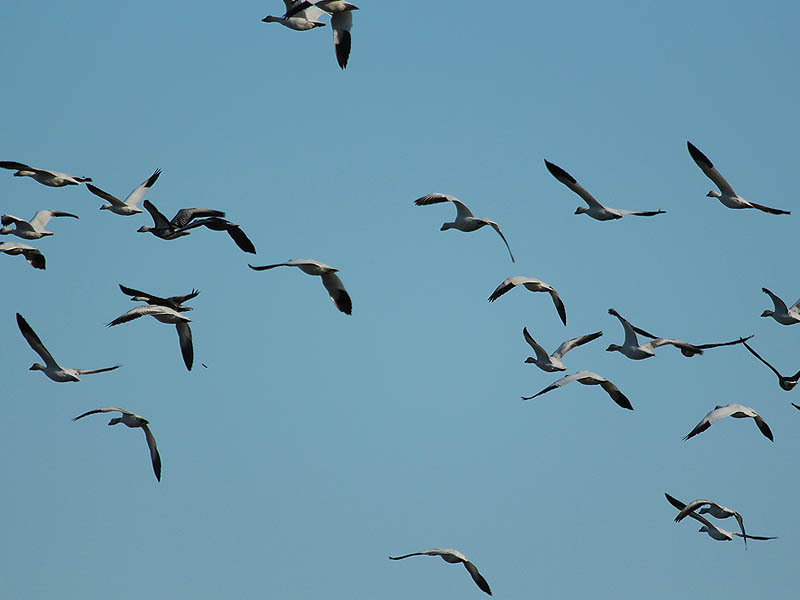 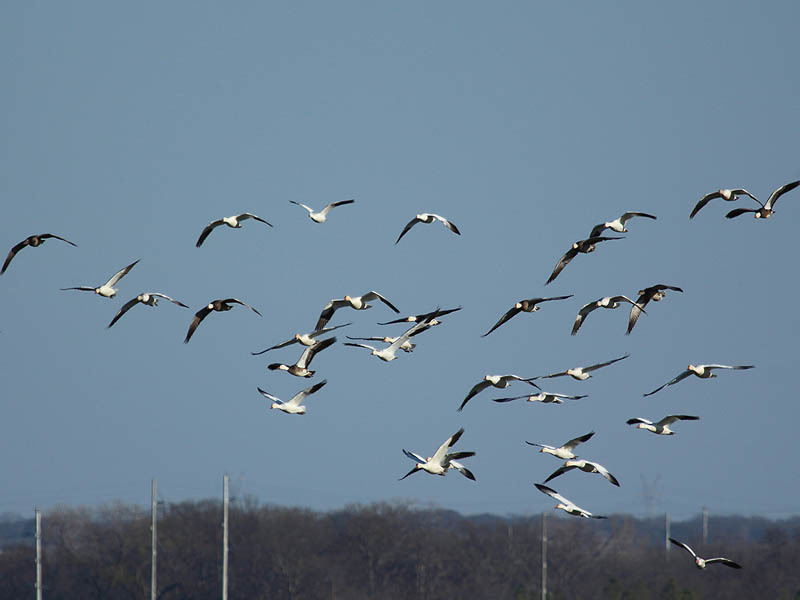 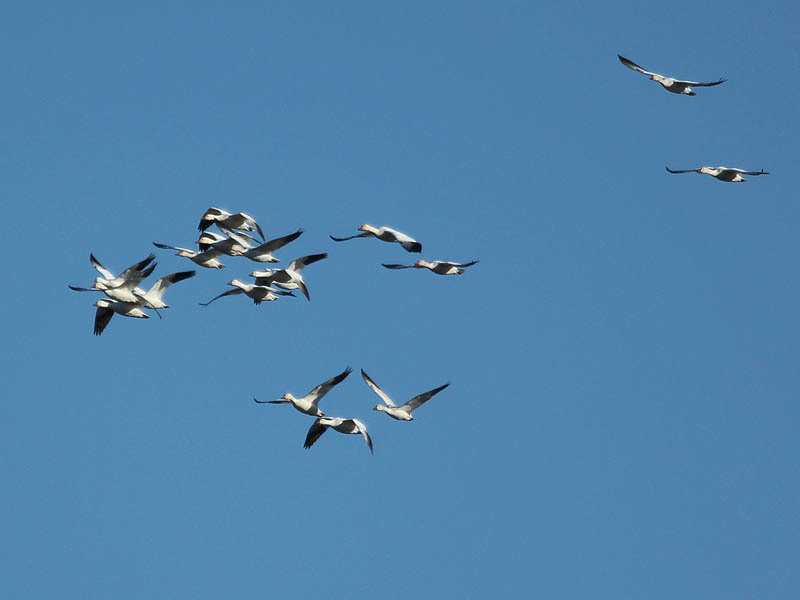 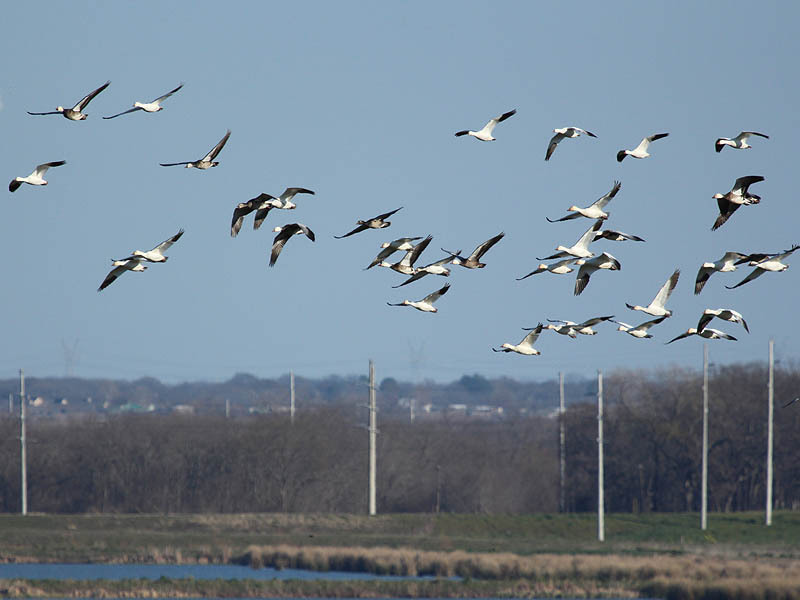 One afternoon while I was observing the far southeast Dallas County Bald Eagle nest, I was delighted to see a large flock of Snow Geese (mixed with Greater White-fronted Geese and Ross’s Geese) land near the holding ponds at the base of the hill. 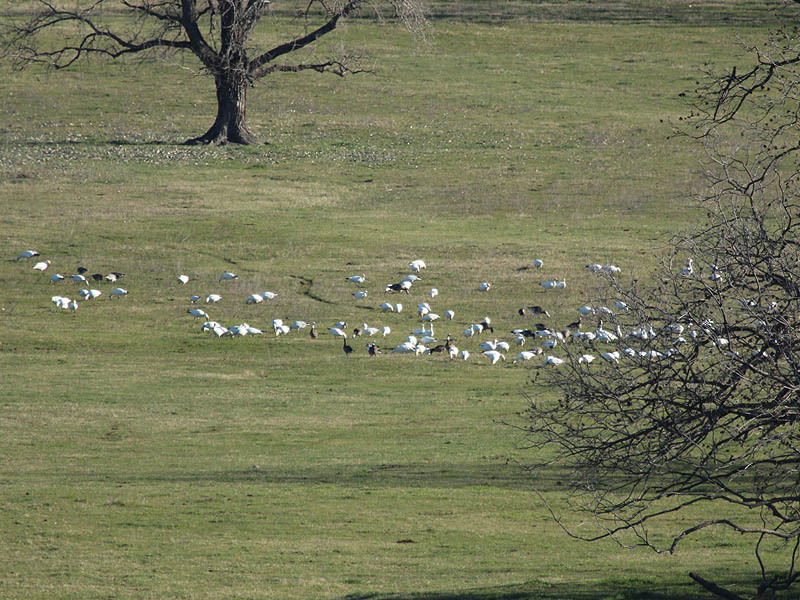 As more and more geese arrived the entire congregation began grazing enthusiastically on the early spring green grass. 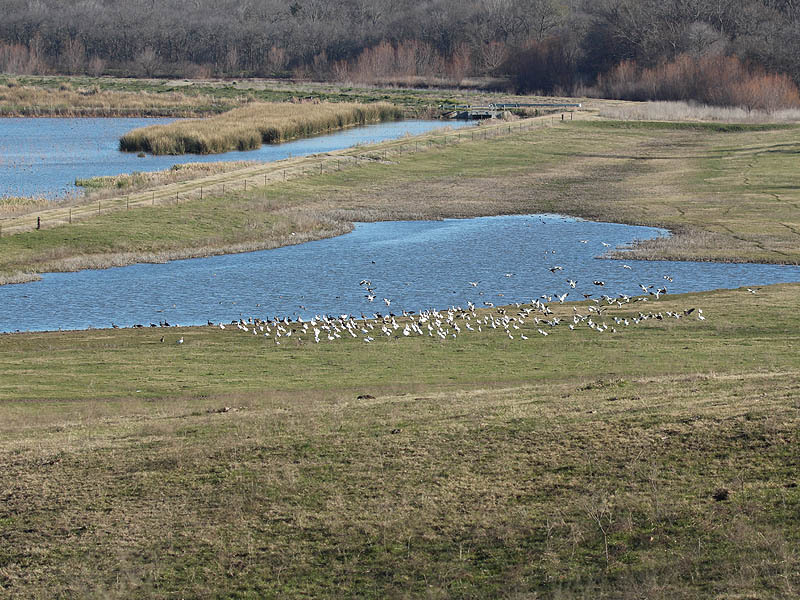 I took a few pictures, and then turned my attention back to the Bald Eagles. 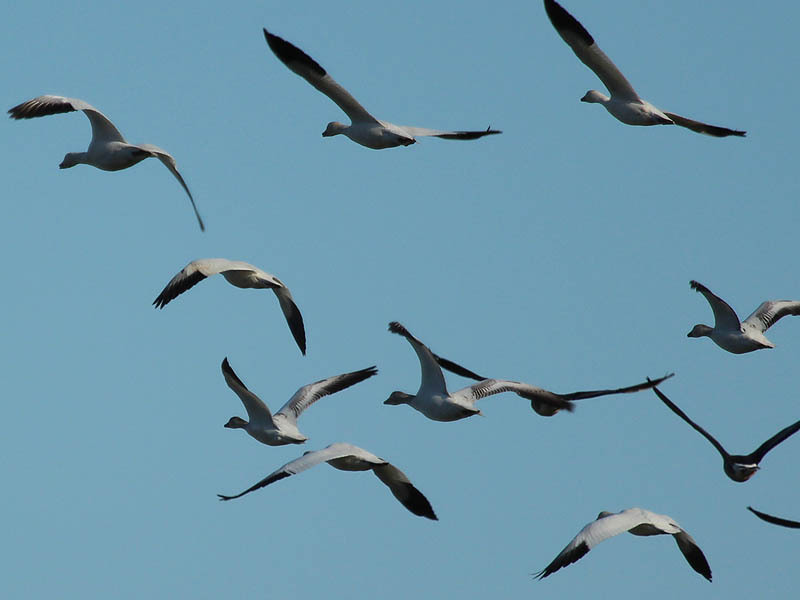 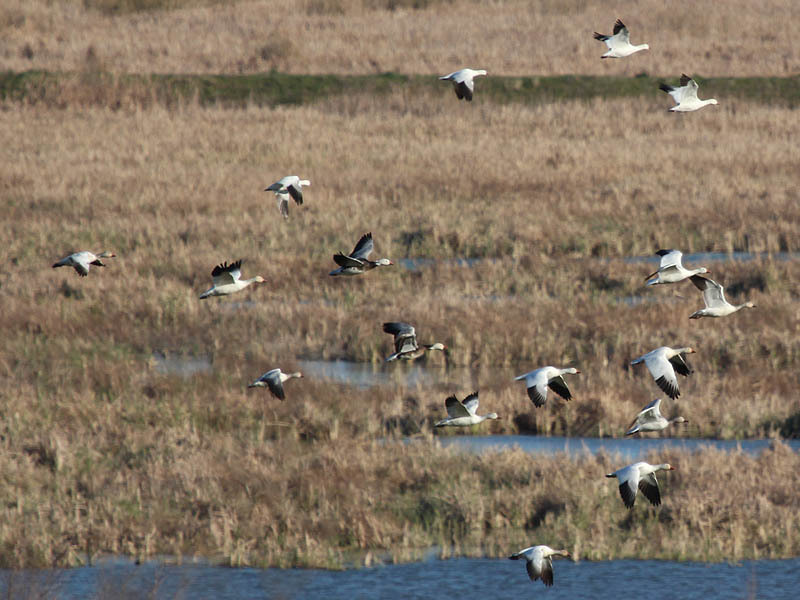 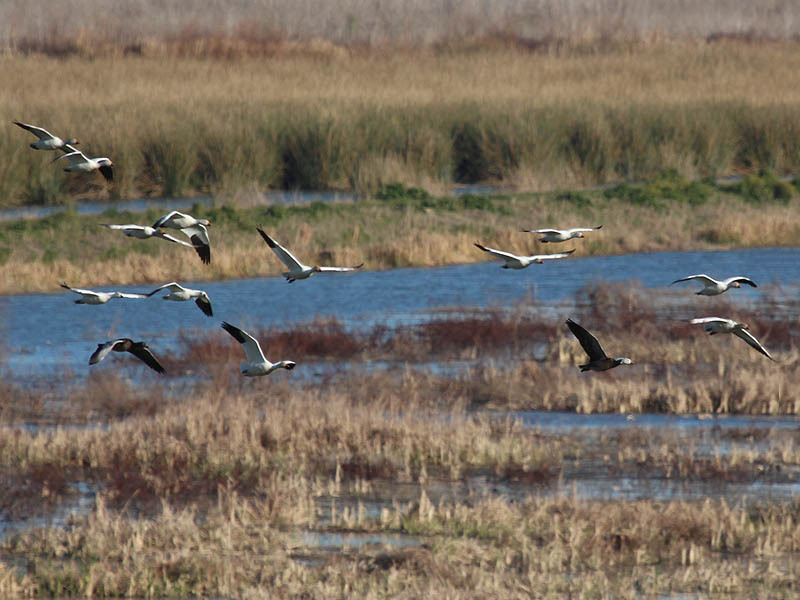 I moved to a place where the Snow Geese were no longer visible to me. 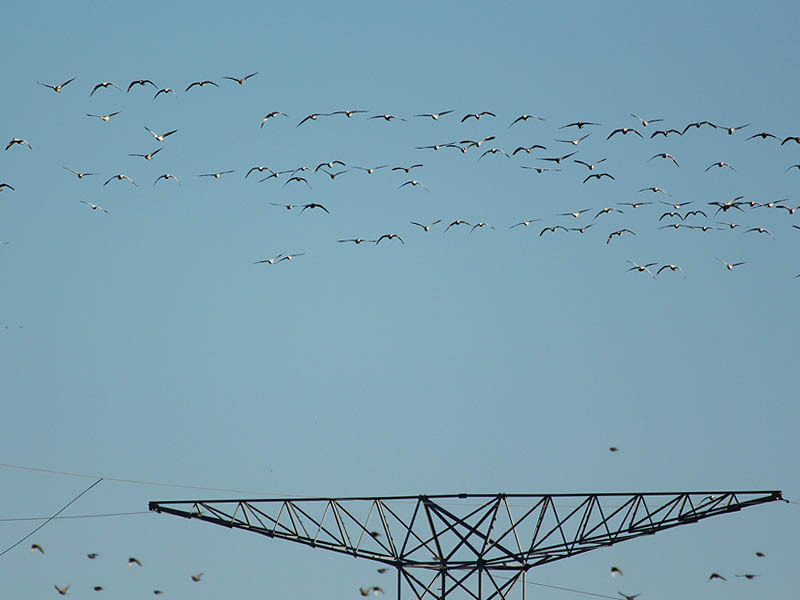 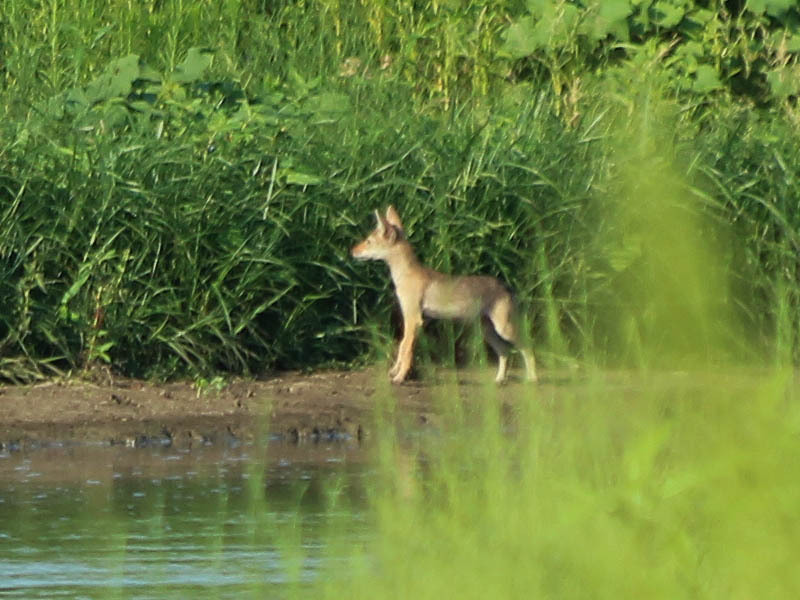 A few minutes later I heard a loud bang and then a ruckus of honk-a-longing geese. 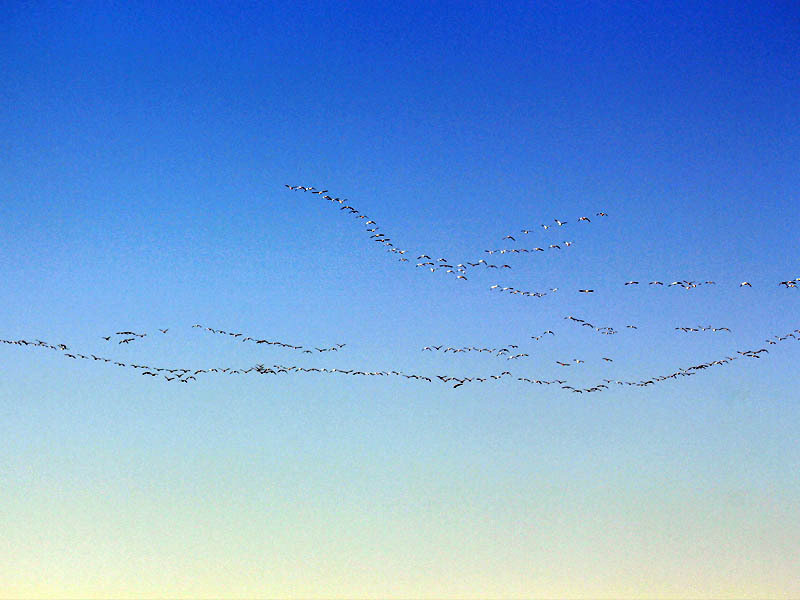 A cloud of white geese rose into the air as I came back to investigate. 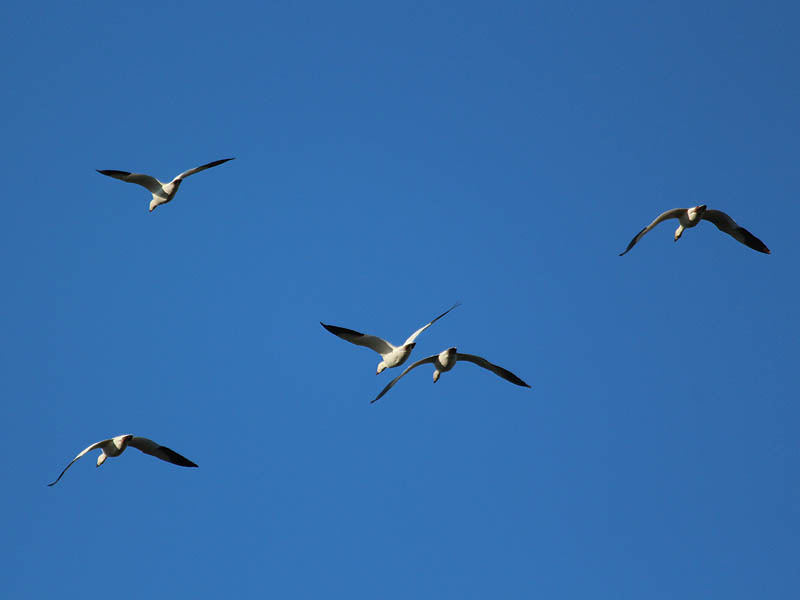 Down at the base of the hill was a white pickup truck and two individuals carrying shotguns. 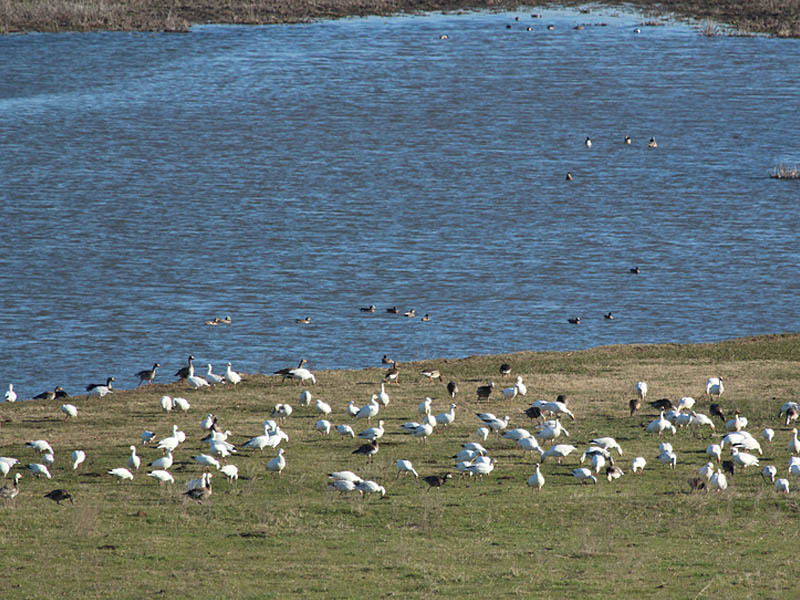 The two collected their kill—a large Snow Goose—and drove off making a slow pass along the south side of the property. 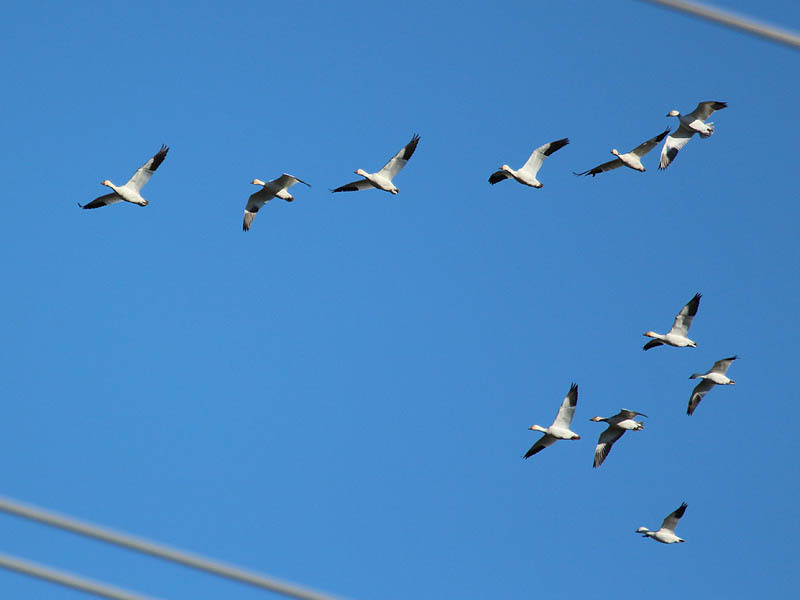 The disturbed flock of hundreds of geese fled the area flying directly over the eagles nest several times while they circled to gain altitude. 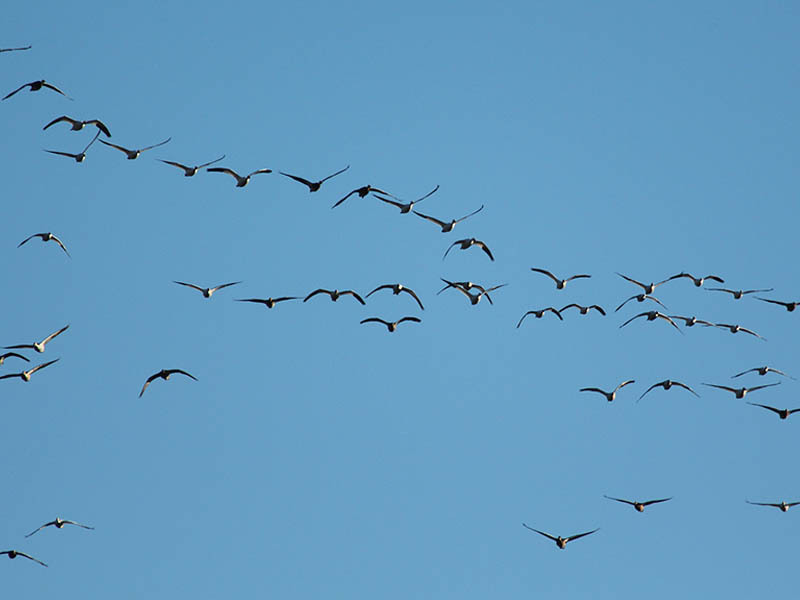 At height, the group finally broke of and streamed away to the north.